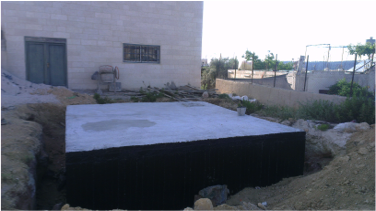 The cistern system, an underground cement storage tank, holds rainwater collected and diverted from the roof of the school. The rainwater is then pumped to the school’s restrooms, where it is utilized for toilet flushing. 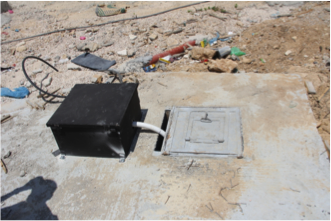 Due to the number of children on this centralized site, toilet flushing is responsible for nearly 85% of the school’s total water usage. The water is critical to ensuring reliable usage of clean restrooms throughout the entire school year. Previous WRAP projects have demonstrated that rain harvesting systems can supply upwards of 50-70% of a school’s total water needs during its nine months of operation. 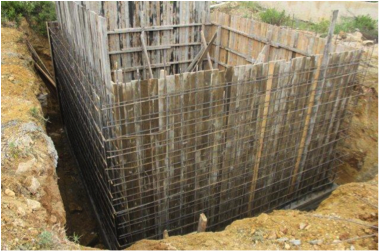 With additional water availability made possible by the cistern, the school will in time also be able to implement a desired summer camp and community garden. The school will also soon realize a reduced reliance on municipal water and the attendant costs – all critical elements to water security and stability within this increasingly arid region of the world. The Village of Battir and surrounding area receive on average 653mm (25 inches) of annual rainfall, primarily between the months of October through April. Thus, rainwater harvesting during this timeframe is crucial. 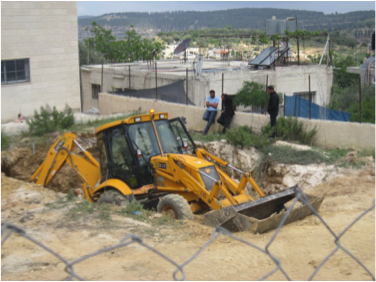 With the installation of the cistern at Battir School and the parallel environmental curriculum, WRAP strives to not only alleviate the struggles associated with water shortages in this region, but also encourage the students and greater community to collaborate on stewarding this precious natural resource.